We are engaged in offering Cafe Chair and Table Set, which is extremely praised in the market. Owing to high demand, professionals make these products in varied patterns. 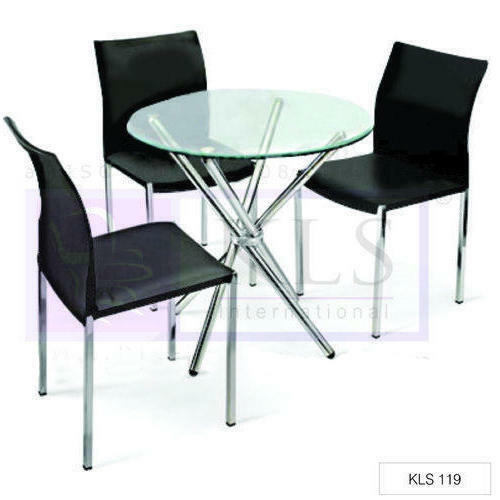 Established in the year 2007, KLS International is the leading Manufacturer of President Chairs, Mesh Chairs, Executive Chairs and much more. The presented array is crafted and developed by our talented and skilled team of professionals by making use of ultra modern tools & technology and quality checked basic material in confirmation with the industry laid standards and guidelines. Owing to its features such as well polished, fine finish, termite and rust resistance, high durability, water proof and minimal maintenance, this presented array is widely demanded in the industry.